Par Yei Say was born in Thailand and lived in the Mae Khong Kha refugee camp (consolidated into Mae La Oon in 2002) until he moved to the U.S. as a 14 year old in 2010. He and his family first settled in Arizona, later moving to Minnesota for better employment opportunities and to live in a larger Karen community. Par Yei Say graduated from LEAP High School in 2016. After graduating, he found a part time job at Bailey Nurseries working the front desk and helping people fill out paperwork, translating and providing orientation. He then worked a full time job at the Radisson Blu Hotel near the Mall of America, but felt that he should be using his skills to help the Karen community. 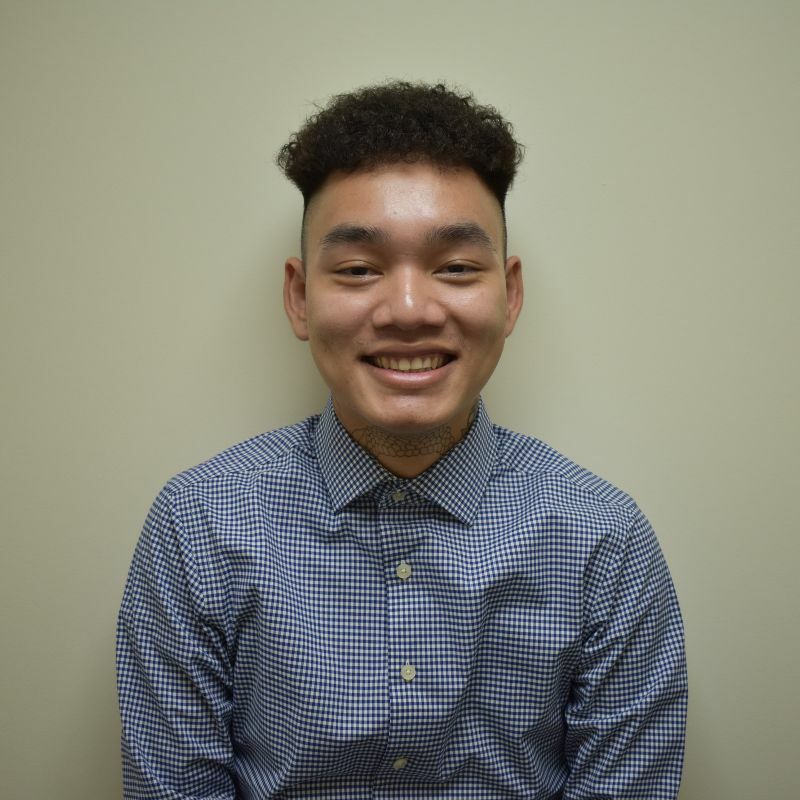 Par Yei Say’s first stint at KOM began in 2017, when he was placed here in the Minnesota Opportunity Corps Employment Navigator position. After finishing his placement here, Par Yei Say worked with Adaptable Workforce Solutions (AWS) as an account manager. He is now back at KOM in a permanent position as Career Development Counselor. 1) Why did you decide you wanted to work at KOM? I decided to work at KOM because I see a lot of people in my community who need help with reading and understanding their mail, filing important paperwork, and other such things. I did similar work at my previous job, and helping people is one of my passions. Back in 2017-2018, I worked at KOM as a MOC Opportunity Navigator. After that position ended, I went out in search of new opportunities and found work with AWS. I worked there for a year, gaining a lot of experience and insight. But I was still very interested in the work I previously did at at KOM, so when I heard there was an opening I applied. Now I’m back working at KOM again, doing what I love to do. 2) What have you been doing since you started working at KOM? I learned so much about helping clients when I worked at KOM from 2017-2018. I helped them with all kinds of stuff, like filling out Ramsey County paperwork, applying for health insurance and assistance programs, making phone calls, etc etc. I’m back doing these things again, and I’m getting better and better at it. Being back at KOM as Career Development Counselor just feels so great. Recently, I’ve been recruiting people for our Soldering Training Program, which helps participants get a better job with higher pay and good benefits. I’ve always told myself I should be working for my community and giving back to them, and that’s exactly what I hope to do here at KOM. 3) What are you most looking forward to with your job at KOM? I am looking forward to learning everything! I want to learn as much as I can to give back to my community and my family, and I want to keep gaining more experience to help me in my future career. I want to make my family and myself proud!